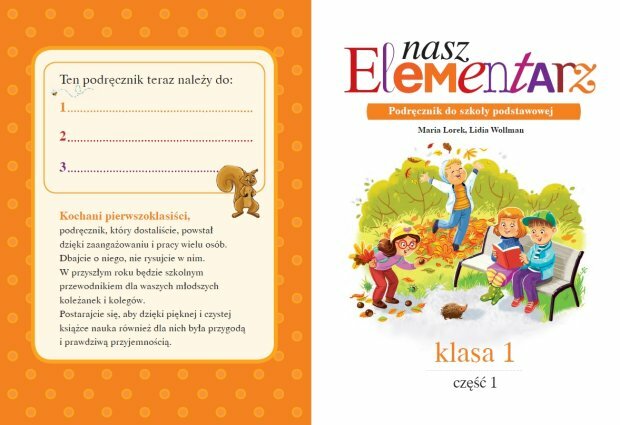 The Ministry of Education in Poland is currently working on a free textbook for the first-year pupils, available under free CC BY license. The first part of the textbook is available on www.naszelementarz.men.gov.pl/elementarz. The Coalition of Open Education supports the Ministry in this next step to build an open educational policy. While open education still is not the general direction of the Polish Ministry of Education, that idea is now being implemented in two important projects which show the new attitude towards textbooks in public schools. Parents and publishers are closely watching whether it is successful. The first big project of making textbooks fully available and with the right to reuse them owing to the free license is a part of the ‚Digital School’ program, developed to make Polish schools more up to date with the digital technology and resources. From the very beginning, it was supported by the Coalition for Open Education. Minimum eighteen open modular e-textbooks are to be available for pupils from first and secondary levels of education at the end of 2015 and through the innovative internet platform (www.epodreczniki.pl). The project is funded by more than EUR 11 million from European sources. The Polish state has been strongly involved in the textbook market for several years. It supports parents of small income by subsidizing textbooks (PLN 526 million between 2006-2014, about EUR 125 million). Eventually, the money from the state goes to the publishers, parents or schools being only a transmission medium. While the textbook market has never been free in a neoliberal way, publishers like to suggest this during their media campaigns against free textbooks. The thesis of etatism or even state monopoly are often used. It looks as if Poland needed a strong discussion whether education should be a field where the interest of parents is more important than publishers’ business rights and the wealth of the publishing market. It is obvious that the Ministry of Education should be focused on the availability of educational resources used in schools, not in the fate of small booksellers whose earnings are mostly based on selling textbooks. This shows, however, that the open educational policy always has strong social and market contexts, which can not be unnoticed. At last, the market context must not be crucial as parents spend more and more money on textbooks. As the Ministry of Education informs, between 2007 and 2014 the costs of textbooks have raised 47 per cent. On one child parents spend today about PLN 382 (about EUR 91). In the context of high unemployment and economical crisis the free and wide access to educational resources becomes an important social need. The aim of the second big open project is to prepare a free textbook for the first year pupils (the primer), both in digital and printed form. The project was announced just after the Minister of Education changed few months ago. Even it is widely commented as a political initiative, its importance raises over that perspective because of the deep changes it may induce in the textbooks market and in the educational system in Poland. Both that projects can be seen as a part of the general changes in Polish education, not always well seen by parents and teachers, accustomed to some kind of conservatism in that area. They are of course also being criticized by publishers wanting to keep alive the old models of their textbook businesses. The free primer book should be ready soon, the Ministry has recently published it first elements (for now only in the PDF format at www.naszelementarz.men.gov.pl/elementarz/). The head of that project is Maria Lorek, who has a long experience in building free educational resources – she was the head of the portal „Włącz Polskę”. The cost of a new primer should be – according to the Prime Minister Donald Tusk – lower than PLN 10 million (about EUR 2.3 milion). It will be used by about half a million pupils. The Ministry suggests that in this year parents can save about PLN 101 million (EUR 24 million) thanks to that free textbooks for their children. In 2020 it would be about 704 million (EUR 168 million). But it is not only the case of a free textbook in a digital form. The recently prepared amendment of the bill of educational system will let the Ministry to buy printed textbooks for class IV to VI of primary and I-III of secondary schools. It will also allow teachers and parents to choose the textbook on a free market after the end of 2014-2015 school year. New textbooks will be free and public, and schools will be lending them to pupils every year. After 2015 all textbooks used in schools will be long-term. Such a mixed system seems to be a necessity now, because there is no chance to prepare quickly and in a central way free textbooks for all levels of education. It is also the case of tools and competences needed to use such digital resources – this is why, the ‚Digital School’ e-textbooks will be used only by 40 per cent of Polish pupils during the first years. The Coalition of Open Education is working on the two projects to guarantee that the freedom of using textbooks will occur not only in the wide access, but also in the right to copy, distribute and reuse them. We succeeded to put free licenses into the Digital School program and work with the Ministry of Education to support copyright freedom also in a free primer book. We are still working to inspire open education as a general policy within the Ministry of Education in Poland.